Express your brand with Beebop's comfortable over-the-ear cups and experience the full range audio spectrum while keeping your ears cozy. Sleek in design with portability in mind, Beebop Bluetooth headphones allow you to bee to your bop without sacrificing sound quality. The intergrated call handling functions with a built-in microphone lets you enjoy your day without the worry of missing phone calls or texts. Don't stop, just Beebop. Stereo sound with outside noise reduction with a 25 foot Bluetooth wireless range. 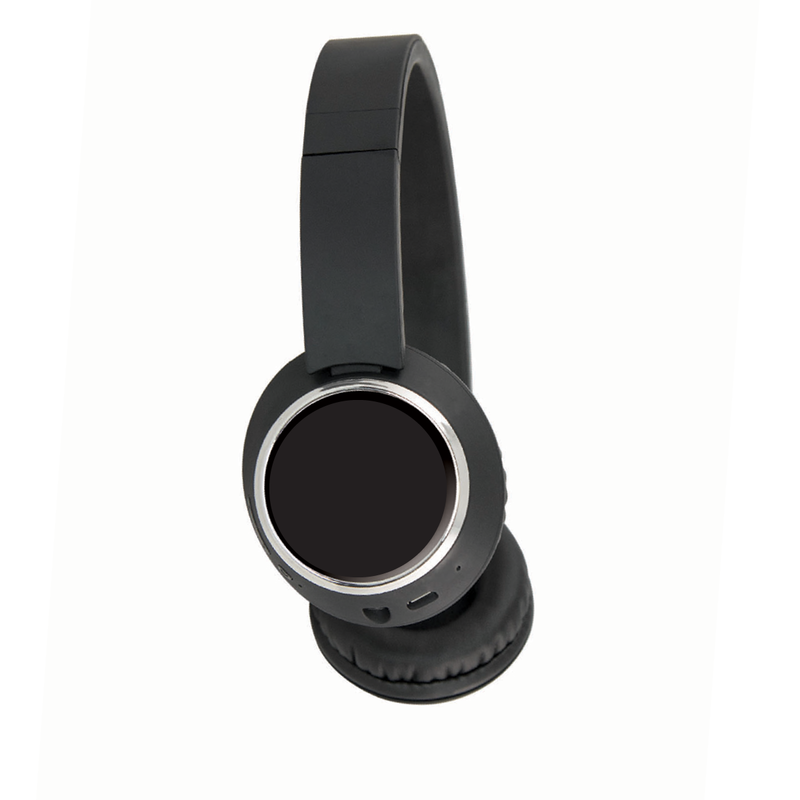 Multi-function on-ear buttons for answering calls and controlling music and built-in microphone for phone calls 4+ hours of play and includes: soft carry bag, 3.5mm aux headphone jack cord, and micro USB cable.